The gaming and amusement world is ready to meet up at the trade show and to ensure that Enada Rome can continue to maintain its role as an historical reference point for gaming trade members’ business, an opportunity for networking and discussion not to be missed. SAPAR will use the Enada stage to relaunch its work to safeguard the entire gaming chain, with an important novelty, the training courses for trade members aimed at combating illegal and underground gaming and preventing compulsive gaming. The kermesse will not only host the major innovations in terms of products and services, but also the aspect will be complemented and completed by debates and events for networking between all the key players of the sector on the hottest current issues. 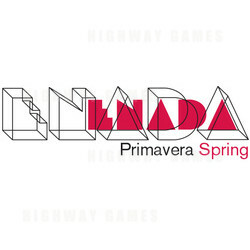 ENADA visitors and exhibitors will thus have the opportunity of continuing to be absolute key players on the amusement and gaming market.